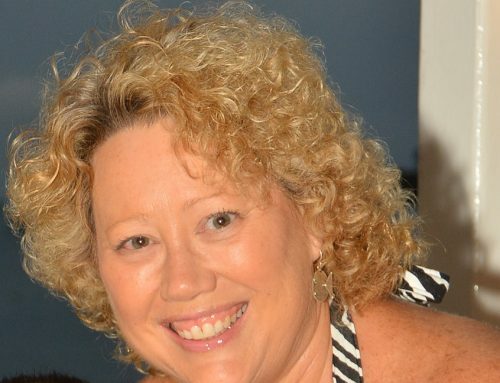 Today’s show is going to focus on my top takeaways and lessons learned during the TravelCon conference as well as top takeaways from several of the attendees. Get ready, because there will be a lot of tips you can implement into your website and blogging career. 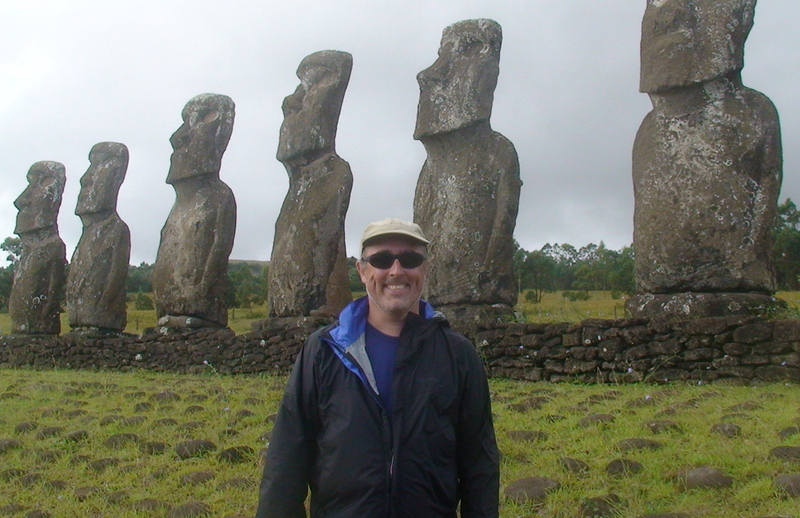 TravelCon is the brainchild of Matt Kepnes, but you might know him better as Nomadic Matt. Austin, Texas was the first year for the conference. If you haven’t heard of TravelCon, let me share the official overview of the conference: The travel media landscape is constantly changing. This three-day conference will connect you with industry leaders, influencers, and celebrated writers through keynote speeches, small group writing and photography workshops, breakout tutorial sessions, and industry panels. 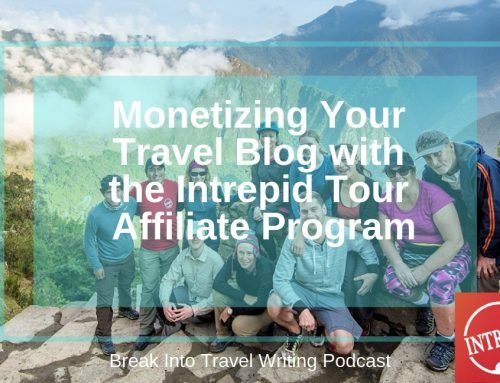 You will learn what’s working in today’s competitive travel industry, timeless business practices, and the skills you need to succeed as a creator. I was originally on the fence about TravelCon, mostly because I had already been accepted to TMS in Niagara Falls when Matt announced his conference. There was only one day between my post-TMS FAM and day one of TravelCon, but I will admit I got caught up in the excitement of Nomadic Matt’s first TravelCon. In the end, bought a ticket for a couple reasons 1) the conference was going to be geared towards monetization and building a business with your blog 2) I thought it was supposed to be a small conference. 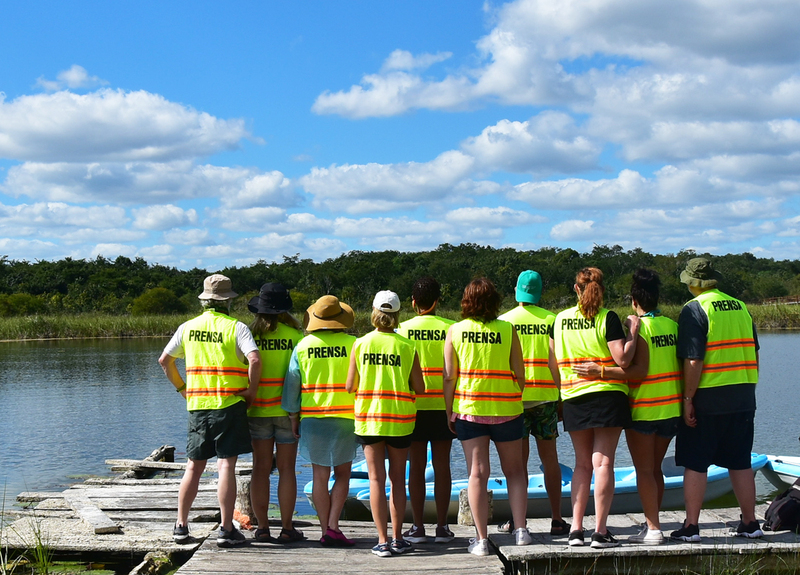 3) I had a lot of travel blogger friends attending and several of my academy members. I’ll be honest. I really thought this could be an unorganized mess. There were a lot of moving parts to this conference, including multi-tracks, workshops – such as writing and photography, parties, a marketplace, lots of session speakers and keynote speakers and logistics. In the end — the conference was really well organized, but It wasn’t small. Matt has done something right — either with building his tribe or marketing TravelCon or both because he ended up with around 650 people at the event. 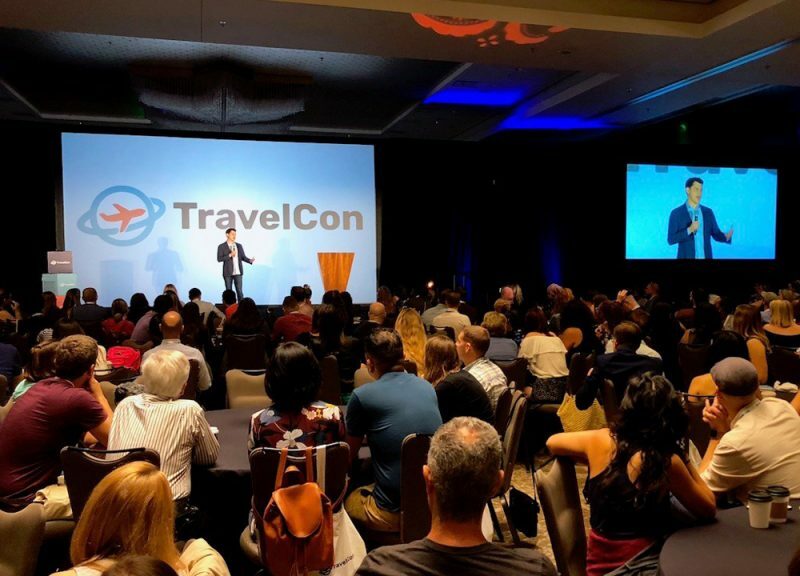 Click here to listen to the full episode to hear the top takeaways and lessons learned during the TravelCon conference. 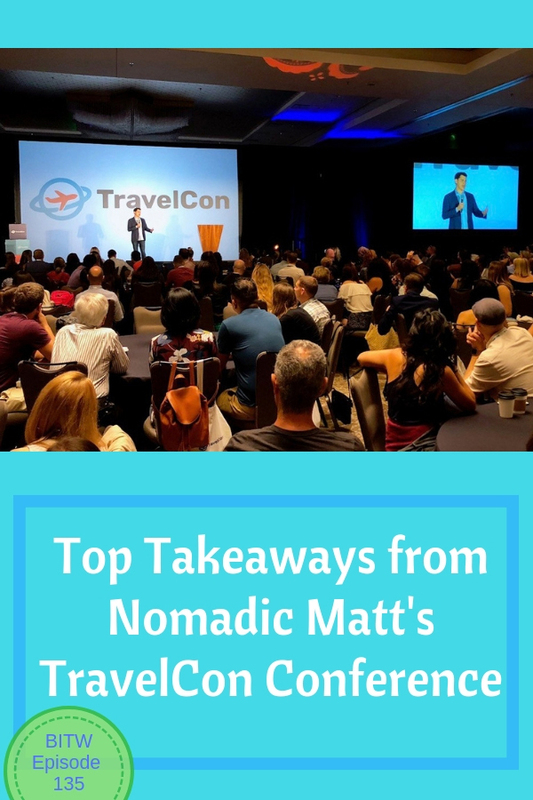 This is “BITW 135: Top Takeaways from Nomadic Matt’s TravelCon Conference”. Full episode >> Listen to Episode 135 Now! Travel con had a mix of beginner level sessions as well as more advanced ones. I honestly don’t know how the 101/beginner sessions were, but the advanced ones were good and I feel like I walked away with new tools to implement with my blogs. 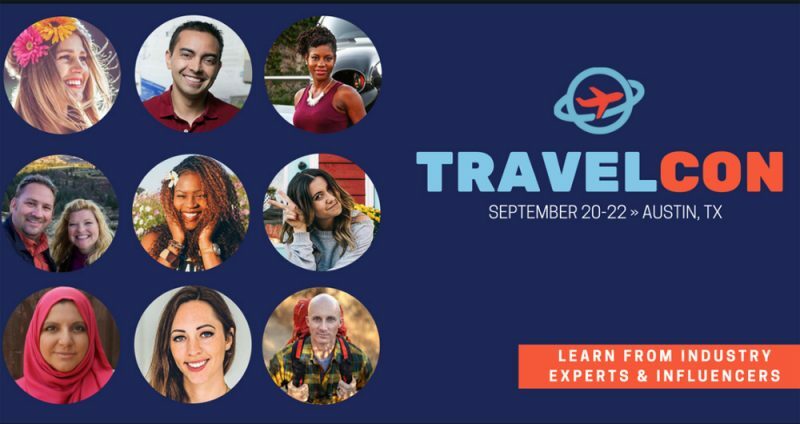 One of the things I liked best about TravelCon is that Matt didn’t only have travel writers and bloggers as session speakers and as keynotes. He also brought in experts and entrepreneurial-minded speakers as well. For example, he had Brian Dean from Backlinko doing the advanced SEO track and Jack Paxton from Vyper doing the advanced Facebook session as well as one of my favorite podcasters, Pat Flynn doing a session on Affiliate Marketing. This conference had some planned excursions the day or two the event officially started, but no media trips. And you paid for all the excursions. 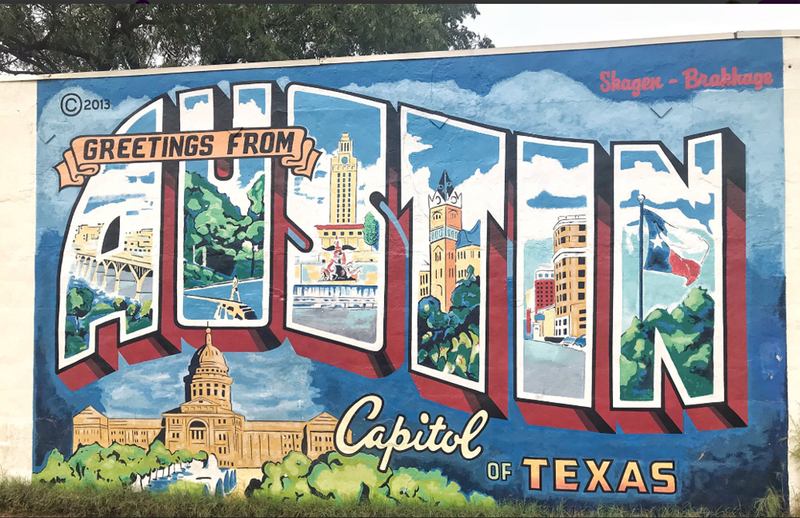 In that sense, the Austin show is very different from other conferences like Tbex or TMS where you can join a media trip as part of the show. Lunch was included daily, but breakfast and most dinners were not. There were parties every night and people went. This was a party crowd. Most included a drink ticket or two. But again, it’s all about connecting, chatting, networking. Networking with industry and brands: there was a marketplace with brands such as travel insurance and tour companies, a lot of companies that offered tools — such as for email marketing or web hosting, and a few PR companies and tourism boards. There were opportunities to partner with some of the brands and start a conversation about visiting some of the destinations. These were set up by appointment — so we could request appointments or the exhibitors could request an appointment with us. Just being honest — it was hard for new bloggers to get appointments. It’s simple math – 650 attendees and 31 exhibitors. But, you could also ditch a session and go to the marketplace for certain hours. There was an app for the event which was super useful, but our marketplace appointments were on Blogger Bridge, which really was a pain. I wish our marketplace appointments were also in the app. It would have made things much easier. I got a lot out of the marketplace, but I know several attendees that found it frustrating that they couldn’t get appointments. I think at this point it’s pretty obvious that Travel Con was a huge success. I personally had an incredible time meeting the variety of bloggers and speakers, attendees and volunteers. It’s something I was on the fence of attending just because of other travel plans, however, I am glad that I decided to go and wanted to share with you what my biggest takeaway’s. Featured snippets are the new #1 Google ranking. Without backlinks, it is hard to impossible to rank. Link swaps are against Google’s rules. Do not do this on a regular basis. PR & Marketing are different. Must ask brand or tourism about short and longterm goals. Then tailor your pitch to this idea by finding how your narrative fits their goal. Create a case study to show proof of value. Know the goals of a campaign before it starts. Everyone must have a resource page & you must mention this link everywhere. If interested in working with a brand as an influencer, reach out with a soft ask so you can determine the goals of a brand/location before you pitch. Look for brand partners with aligned goals. Instagram: A micro-influencer has less than 20k followers and 5-7% engagement is average. An influencer has more than 20k followers and average engagement is 2%. 15% engagement is considered super high. To determine engagement on a particular post: likes + comments divided by followers x 100. Know your story and stick to it. Tell it over and over in different ways. Don’t chase the next big thing (fad). Stick to your story because it’s the one thing you represent. A media kit should be a simple infographic. Create at least 2-3 case studies. Must know your end game, your “why” and what motivates you. Knowing your ‘why’ helps you outlast. Know the one thing you want your readers to do. Never boost a post on Facebook. Only use dark posts for Facebook ads. Contests + Facebook Ads is the fasted way to grow an email list and social followers. Use emoji’s in your Facebook posts. Dare to be lonely, lost and bored when you travel. Put your phone away when you travel. Allow yourself to find a new lens into a location and tell original stories. From Annette Richmond session titled Diversity in Blogging. My company (and I personally) can create space for partners of many different intersectional backgrounds to thrive, and how valuable that is for society, for me personally, and for my company as well. 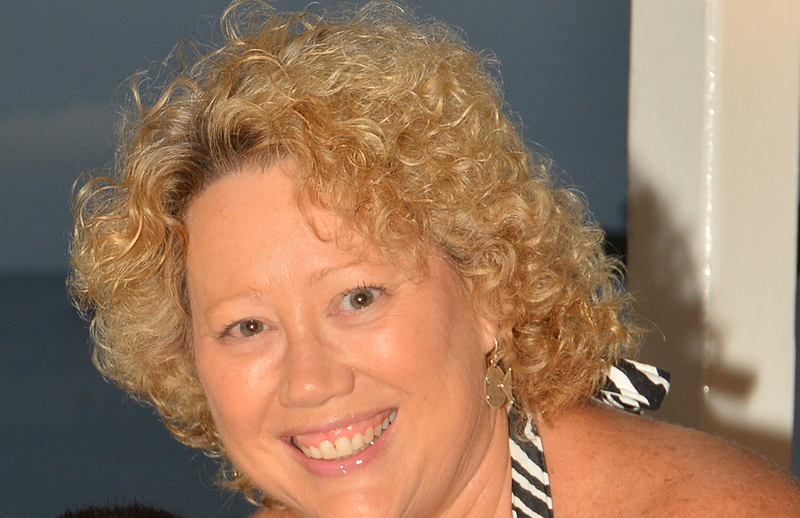 I knew that already but everyone was so welcoming and Annette reconfirmed the opportunity in the market. Keynote with Rolf Potts – “walk until your day becomes interesting” and “follow your instincts instead of your itinerary. The reminder to always make time to really enjoy your travels and not always be working – this also confirmed for us it’s time to hire someone to help us navigate this next growth phase in our business! We were most inspired by Helen Russell’s keynote and her insights for living happily (Danishly) – reaffirming that the American way really isn’t working for a lot of us! But really also got some great insights and strategies for promoting our upcoming book from Brent Underwood – loved the creative ideas for standing out and getting promotion – through podcasts and other media tactics. Annette Richmond who led the Diversity in Travel session talked about making our blogs inclusive which I thought was super important. Another important point she made was about making sure the marketing and media was more diverse, not just more people of other races, but that people of different shapes and sizes, religions, that had disabilities and that were LGBTQ were showcased in marketing so everyone feels like they are represented. My 2nd favorite session was the “Working with Brands” session. During the session, Dalene and Peter Heck of Hecktic Travels talked about needing better travel writers in the industry because so many people just keep creating lists and not telling a story. Be yourself. There might be a lot of voices out there, but no one can write the same story or shoot the same photo as you because nobody else is you. Embrace what makes you unique. Never stop learning. No matter how big or successful your business is, there is always more to learn. Read books, look up YouTube videos, take a class, and always keep moving forward. Keynote with Oneika Raymond, Keynote with Helen Rusell. For me, they made the biggest impact on me just because they were good public speakers and very entertaining, and not so much that I took something specific lessons away from it. Helen Russel was very interesting for me to hear – as a Dane it was cool to hear how an outsider sees my country. It wasn’t very travel related but still inspiring from a storytelling perspective. Oneika is just a firecracker on stage and a fantastic storyteller. It’s always great to hear the story of someone who has made it. It gives me hope and is a great motivation for me to hang in there and keep doing what I do, and always do the best that I can to improve my work. Facebook marketing session with Jack Paxton and the strategies to use and things to avoid…like not using the “boost post” button! It’s time to be bolder and put in the work. This came from most of the keynotes. They all shared their journeys that brought them to where they are today. They took risks by prioritizing building their blogs and businesses and spent years in the grind before getting to where they are today. Steve Kamb, Nerd Fitness founder. In his session on Creating Community Online, he shared how he shines a spotlight on his community instead of himself. This has made them the hero and has allowed his brand to grow far further than it could have gone by focusing on himself. As a newbie, Kiersten Rich’s advice (and others’) to not be in a hurry to monetize your blog resonated for me. I’ve been spinning my wheels a bit setting up the “back office” aspects of the blog instead of focusing on content. TravelCon changed that. Steve Kamb’s advice to “Obsess over the hero,” has me re-writing my homepage (again) to sharply focus on my reader as the purpose (hero) of the blog. 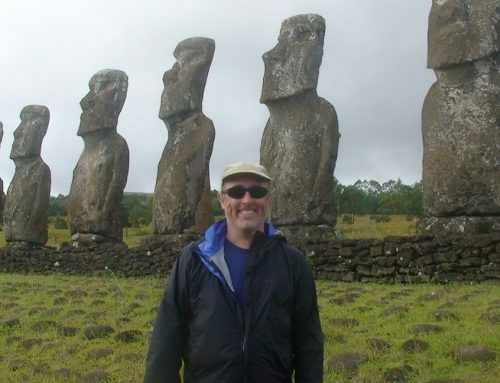 For SEO with Brian Dean, writing about an ultimate guide to a destination will rank well and much better than listicles (ie. a list of top 17 things to do in a destination). Also, use a google template to create a page for a snippet which can help you get on the front page of Google. How to pitch to editors panel: explain why is the story interesting. Explain why now? Why is this a good time to write this article? Finally, explain why me? Why should they choose you? It could be that you have access to great sources, you are the expert in the subject, you have a personal relationship with the place, etc. The number one takeaway I took from the conference was that in order to work with brands, you need to prove value. Don’t just say you can provide value either, SHOW it– through post-campaign reports and testimonials. The Planet D really drove this point home in their panel on working with Tourism Boards and it’s something that I heard again and again in other sessions. Another point that was really driven home is to persevere and continue to blog even when success isn’t coming quickly. In his keynote, Matt noted that the bloggers that are still around are the ones who stayed the course and are still around. This was echoed in the Solo Female travel panel and by Oneika in her keynote. Oneika Raymond Keynote “10 Guiding Principles to Transition from one job to travel media.” Be consistent and keep going. The most successful people are the ones that continue to stay the course. Overnight success is a myth. Most people are impatient and don’t stick through, so It’s often the last person standing who is successful. Even if you’re not good at something now, anything you do for a long time will be something that one day you’ll be incredible at. Mastering Facebook and Pinterest in 2018 (Raimee Iacofano) “Use Animoto to create slideshow videos with images and text that you can leverage for Facebook. Since videos have higher engagement than still images, this is an easy way to leverage still images to create a video. Pete Heck sharing about brands wanting more storytellers. It seems that we’ve lost the art of storytelling, and that is what brands are hungry for – good writing that tells a story. Pat Flynn Session. I really liked hearing Pat talk about the mistakes in affiliate marking: promoting the wrong brands/products, using old and dull promotion strategies, and thinking one promotion is the end. Creating true connection and building community by being your authentic self-transcends any platform. Don’t expect to be an overnight success. If you’re doing it for passion first and profit later, you can persevere. Those who never gave up are the ones who ultimately became successful. The camaraderie with other bloggers, writers, travelers, and adventure seekers, hearing Ryan Holiday’s straightforward advice: the support, confidence and encouragement was great! Oneika Raymond’s advice: leverage your thing! I’m an adventure seeker, looking to go places to seek, eat & drink. I’ve always done it, it’s always been my thing and I’ve always written about it, why not really do this! Not sure where it’ll take me, but I’m doing this. And now. Working with brands with Dalene and Pete Heck, Stephen Oddo and Ryan Whaley. They really went into detail about how to craft a partnership instead of just asking for something in exchange for a little exposure. The key is to ask questions of the brand you are working with to see what they are trying to accomplish and then show how you can help them achieve that. Brands like to work with people that (1) are easy to work with (2) make their life easy. When pitching don’t just say “I will be there and would love to take your tour in exchange for social media exposure.” They get too many pitches like that and most go in the trash. Instead Tell them why you want to work with them, how your audience aligns with the brand and ask what is important to them. Create the conversation to work with the brand long term. More and more brands are looking at engagement and your audience over just numbers. The quickest way to get on a brands bad side or blacklisted (brands do talk to each other) is to be difficult, not deliver or try to game the system by using IG/Comment/etc pods to boost numbers. Use a contract or have clear email il history of responsibilities of both parties. Bottom line, have a well thought out pitch and create a campaign that makes the brand want to work with you. 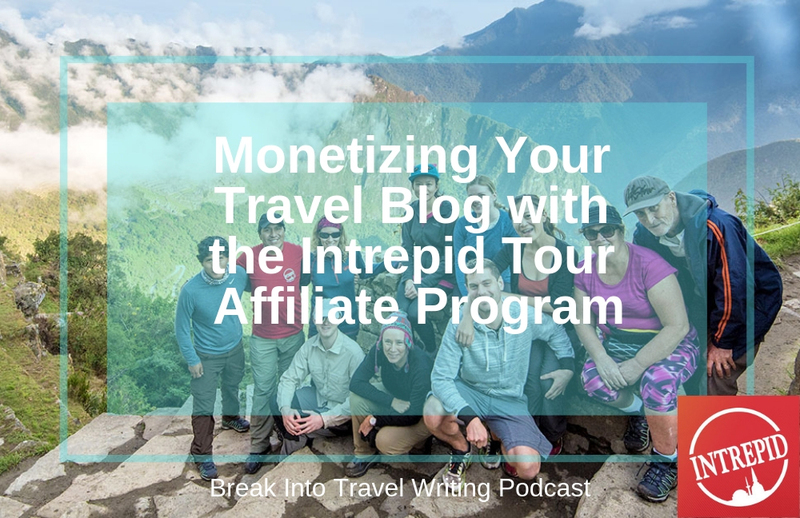 How to use leverage your blog to Offer Tours with Derek Barron. 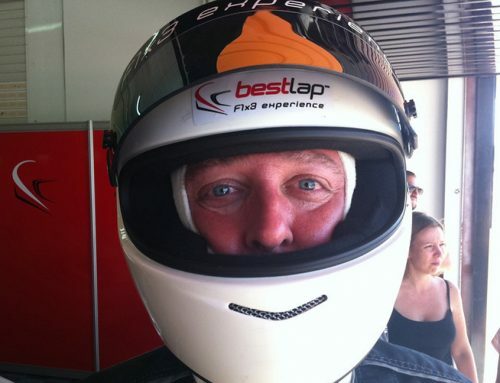 Derek told how he started offering tours, the pitfalls and lessons learned. As Derek explained. 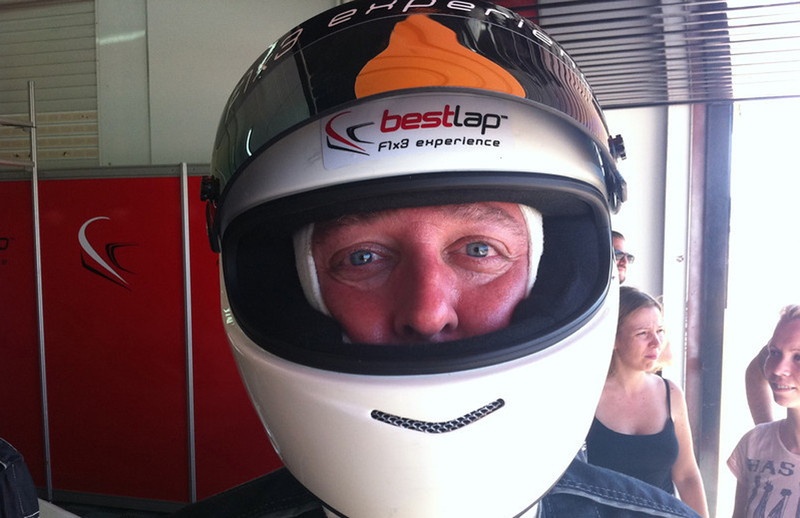 Tours offer the blogger to create a connection with readers and offers a long-term sustainable business. Why are you doing the tour? Have readers expressed an interest? What can you offer that other tours don’t? A good tour consists of Unique and appealing. Where they want to stay, not you. You might not mind a hostel but most regular people that travel want a nice hotel. Is food included or not. Don’t plan for too much. As travel writers, we get up to hit the Buddhist temple, go the market, stop by a food stall for lunch, Go to an attraction in the afternoon and hit a restaurant for dinner. Derek said he found most people want to visit the temple, eat lunch and go back to the hotel, they are tired and want to relax. Multi-country tours are too complicated. Too many visa issues, etc. Whatever you think a tour will cost, add 25% you will usually spend it. Derek requires all his clients to have trip and medical insurance and show proof of it. He also carries group insurance. Detail out every possibility you can think of in the waiver. Missed flights to a destination, people getting sick, immigration problems, etc. Look at everything that can go wrong and plan for it so you are not held responsible for something you didn’t do. Always use local drivers and fixers, it makes things easier. There is no one place to find out the laws, each country has their own and it takes research. For example, in Mexico, a foreigner can lead a tour except at National venues, for that a local must lead the tour. New Zealand requires a local tour guide. Learn the laws of what you can and cannot do such as photo taking and communicate constantly before the tour to give people info on visas, immigration, customs, do’s and don’ts etc. Hope you enjoyed this episode and are inspired to think about how you can set goals for your blog in 2019! Interested in hearing the full podcast? Click here to listen now!